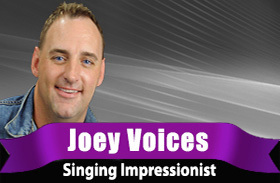 Wicked Bites Radio & TV present Joey Voices – Over 40 different singing impressions – this is an evening of pure delight. Special guest comedian. Price includes tax, tip, and show.